A friend of mine shared these with me and I want to share them with you too! 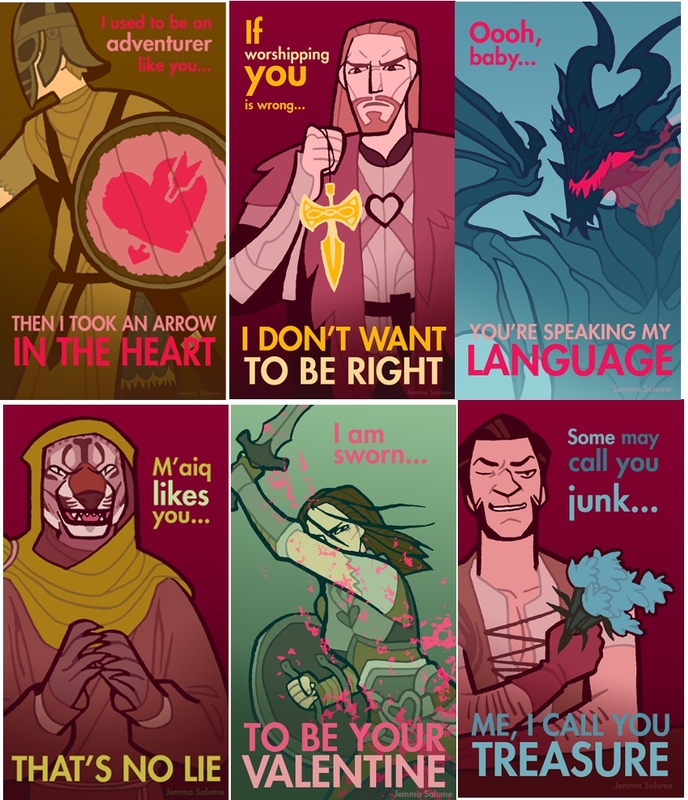 Jemma Salume created a heartwarming series of Skyrim Valentine’s Day Cards. See her other work on Deviant Art! OMG, this is just too cute! Amazing cards, my friends love em as well! Happy Late Valentine’s Day to all my fellow singles out there!